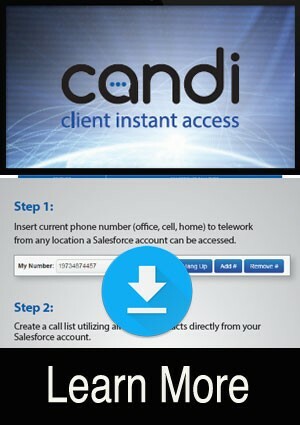 PARSIPPANY, N.J.–(BUSINESS WIRE)–Client Instant Access, LLC introduces “candi,” a revolutionary Customer Relationship Management (CRM) App through Salesforce that provides clients with maximum detailed reporting, feature-rich options, and compliance tools directly into the hands of the user with nothing more than a click. 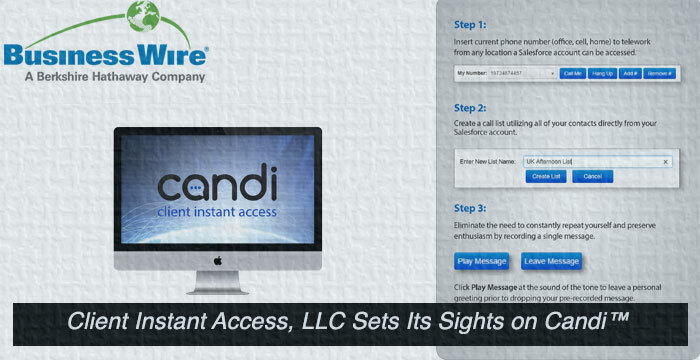 Candi is an update on the “click to dial” concept which directly rivals the industry’s leaders by adding levels of ease, efficiency, and security which are currently absent from the marketplace. CIA plans to unleash this App when they make their debut during the four day innovation extravaganza, Dreamforce. 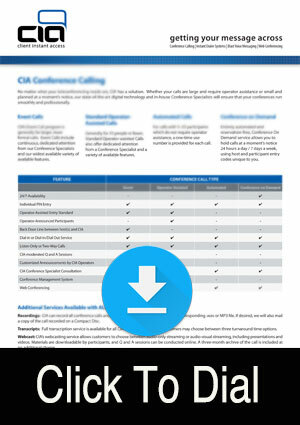 CIA continues to be an industry pioneer by maintaining a 24-hour on-site conference calling and customer service support center to directly meet clients’ needs. 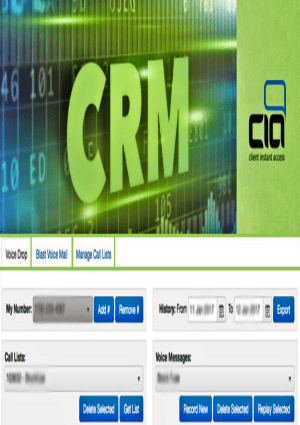 The ever-growing company offers the quickest and most reliable Blast Voice Messaging, Conference Calling, and CRM Dialer systems available in the marketplace. CIA remains HIPAA compliant and SOC 2 Certified, allowing their products to cover markets from education and healthcare, to legal and financial. Co-founder and CEO Joe Vaccarella has over twenty years of telecommunications experience, while the rest of the seasoned senior management team boasts over fifty years of diversified industry experience. Most recently, CIA has partnered with industry juggernauts such as Salesforce, Tier1, ANALEC, NEXJ, and Singletrack. 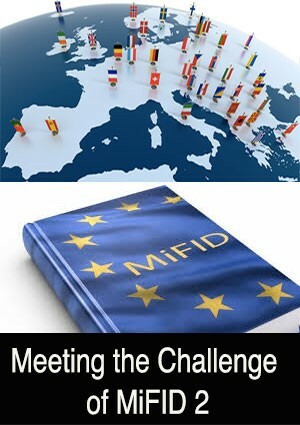 Founded in 1997, Client Instant Access, LLC is headquartered in Parsippany, N.J. The company’s state-of-the-art services have made them a leader in the telecommunications industry, as well as the choice provider for Wall Street’s top financial institutions. They have achieved this recognition by maintaining multiple carrier neutral data centers on a global scale, in order to uphold only the highest level of call and connection quality. CIA will be attending Dreamforce taking place October 13-16, within San Francisco’s Moscone Center at Booth #W641.